The Za’ba Memorial Library (ZML) formerly known as the National Collection Division was established on October 1, 1976. Za’ba Memorial Library or popularly known as PPZ (Perpustakaan Peringatan Za’ba) contains unpublished and published materials on Malaysiana. ZML functions as a preservation library for Malaysiana items. In other words, ZML keeps a copy of items written by Malaysians, or published in Malaysia or about Malaysia. 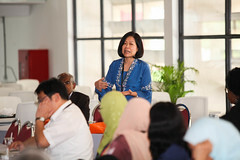 It is especially rich in the areas of Malay language, literature and culture. These materials are kept in closed stacks for preservation and users are allowed reference facilities at the designated reading areas. Assistance if required can be sought from our library staff. ZML’s strong collection lends strong support to teaching, learning and research of the University. The ZML’s stock is very comprehensive with Malaysiana collection. On the ground floor, there are collection of conference proceedings, Malaysiana Serials & Official publications and the Dutch Collection. Peranakan and Personal collection are kept at level 1. 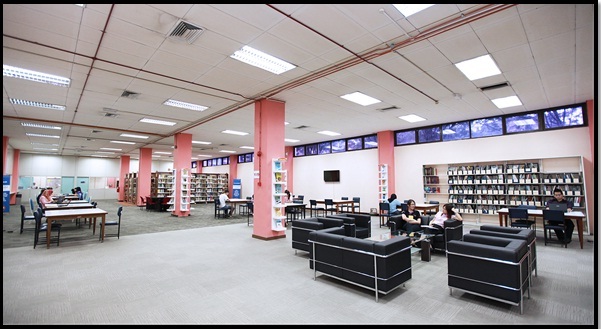 University Archival collection including collection of photographs related to University of Malaya, monographs and academic exercises are placed at level 2. Books on Malaysiana published locally or overseas, particularly in the areas of Malay language, literature and culture, Malay/Indonesian dictionaries ranging from those published in the 17th century to the present. 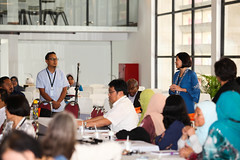 Unpublished or published papers presented at the seminars or conferences held in Malaysia. These papers are indexed and retrievable through the Malaysiana index database, iMalaysiana. Published serials and official publications especially annual reports and other related materials, published by Malaysian government departments, agencies and statutory bodies. Collections donated by or acquired from prominent individuals/scholars, such as the late Tan Sri Zainal Abidin bin Ahmad in the areas of Malay studies, including his personal letters (Za’ba Collection), Ungku Abdul Aziz an economist and former Vice-Chancellor of University of Malaya (Ungku Aziz Collection), Prof. Dato’ Dr. Mohd Taib Osman, also former Vice-Chancellor of University of Malaya (Koleksi Taib Osman), a Malay nationalist lbrahim Ya’kob (lbrahim Ya’kob Collection), the Father Pintado collection on the Portuguese Overseas and others. Reference and information services are provided by qualified professional librarians. Enquiries can be made directly to them. Pendeta Discovery is the Library’s integrated catalogue that allows you to search for all types of items in the library collections. 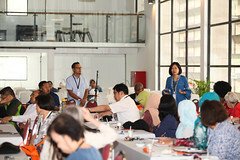 iMalaysiana catalogue is the Library’s catalog which contains information about journal articles, proceedings, book chapters and other Malaysian materials. Malaysiana covers materials written by Malaysian / published in Malaysia and related to Malaysia. At least one copy of Malaysiana materials are kept in ZML. Provided in each level to facilitate users to get the information needed. The ZML is essentially a preservation library, and as such, all of its collection is for use within the Library premises only. Reading facilities are available on every floor of the Library. Photocopying of ZML materials is allowed depending on the condition and type of material. There is staff-operated photocopying services. User should observe and comply with the current legislation on copyright in Malaysia. New books are displayed on level 1. Browsing these books is allowed and if interested, the books can be taken away for reference. Open lockers are placed facing service counter at level 1.CCTV has just been installed near the main entrance, service counter and locker area to ensure the safety of goods belonging to the library users. 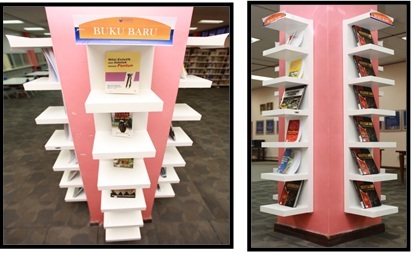 Users can relax and read Utusan Malaysia and The Star at the ground floor of the Library. Have you considered putting all of Za’aba’s writings on line and in e-form for wider distribution?